SynlakrosS is a Spanish female fronted band which plays a Melodic Death Metal base with some Nu Metal and Metalcore influences. With their music and thematic lyrics, they inject a good dose of energy that transports your mind to a world of adventure with a good deal of rebellion. Sharp riffs and powerful rhythms accompanying a female voice with soft melodies and crazy screams that will caress and shake your eardrums equally. The band was formed in 2008 by Pablo ‘Roro’ and Tiko Martinez. The SynlakrosS crew consists of five talented members well known for their charisma on stage, passionate music and proximity with their fans. Since the beginning, SynlakrosS has been building a solid worldwide fan base. Having two full-length albums out, 2013’s “Melodichrome” and 2016’s “Death Bullets For A Forajido” and a Third LP “Malice Murder” set to release in 2018 the band has seen large international growth. The Band released a cover of the In Flames song “Colony” this January and the video for the same has amassed over 650,000 views on YouTube. 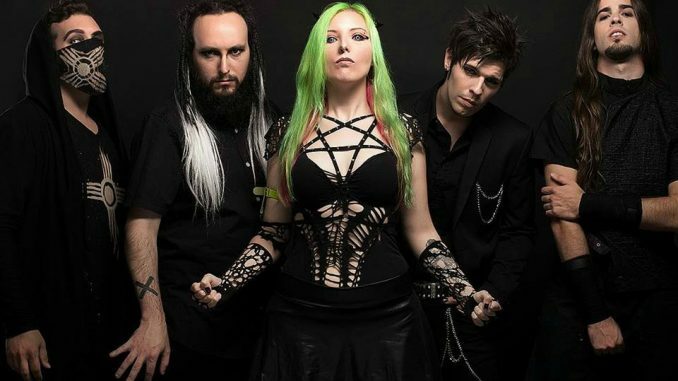 SynlakrosS has shared the stage with bands like The Agonist and Jinjer on their Spain Tours. The band has played large festivals in Spain including, Jaen Metal Festival and Granito Rock. They were Artist of The Month in Metal Fortress, appeared in Metal Hammer -Spain along with numerous other publications and awards. The band will be released a New Music Video for the first single “Dark Seed” off the new Album “Malice Murder” on September 19th and are setting their eyes on a European and North American tour in 2019.